Pikas almost never stop storing food for the winter, and when they do it’s only to act as a sentry sounding out the alarm in case of danger. They pretty much never stop being ridiculously cute, either! 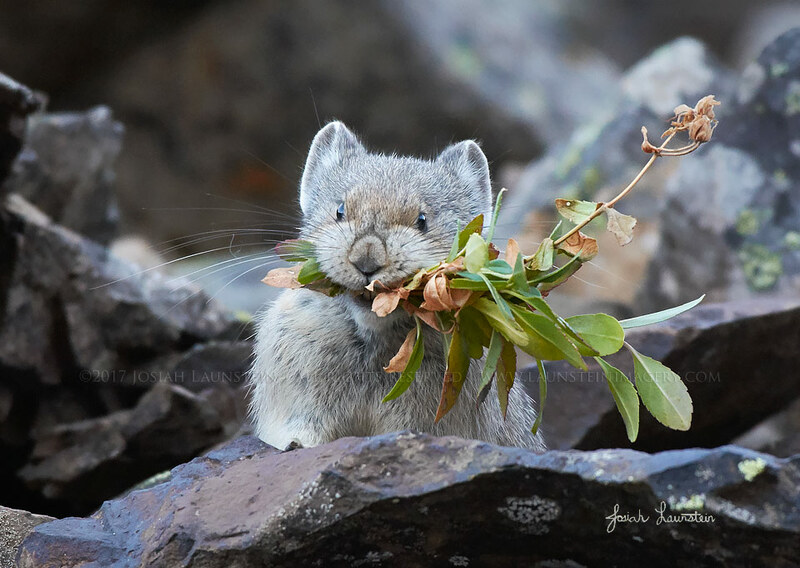 Josiah loves the challenge of photographing these fast-moving, cautious mountain rodents. Once they grab a mouthful of greens, they dart for the closest stash beneath the rocks. Every once in a while, though, they stop and make sure you’re still where you were the last time they checked on you, and when this one did just that, Josiah captured the moment.